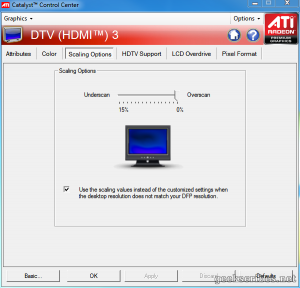 I recently encountered a small problem when configuring a Samsung LCD TV (UA32EH5000, specifically). Text displayed was fuzzy, looked as if it was anti-aliased with a sort of coloured or sometimes white halo around the text. Ensure you set the resolution to native for the screen. For this particular TV, it was 1920 x 1080. You can also try lower resolutions to see if the problem is decreased. 1600 x 900 was quite good in this case, but I wanted to keep the full 1080p resolution so it was a compromise. Connect the HDMI cable to the appropriate HDMI port. In my case, HDMI1 was also labelled HDMI1 / DVI so I selected that one. On your remote, press the Source button. Select the appropriate HDMI source. 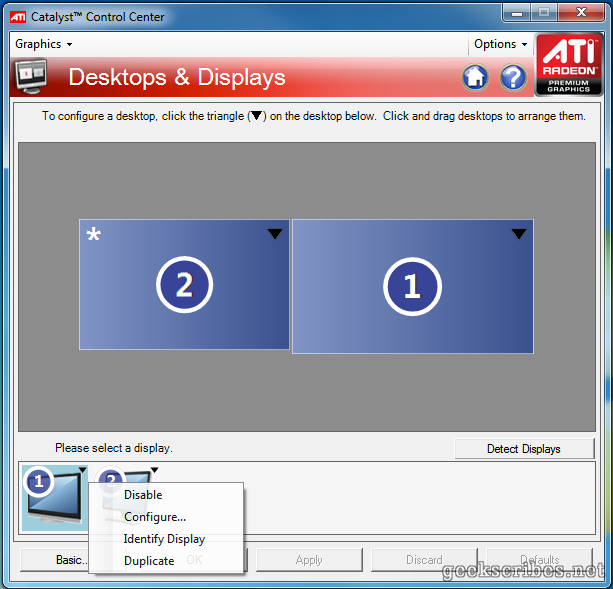 You have to rename the source to PC or PC/DVI or equivalent. In this screen’s case, go to Source selection, press the Tools button on your remote, choose “Edit Name” then select “PC”. Doing this disables all processing that the screen does on the image and enables 1:1 pixel mapping. You should instantly see the text become much sharper. Adjust the screen settings such as Contrast and Sharpness to change how the text looks like until you like it. I’m using Backlight: 13, Contrast: 85, Brightness: 55, Sharnpess: 65 and other minor adjustments to make the image look good to my eyes. Your settings may vary according to your screen. Adjust the Cleartype settings in windows for the particular screens. Type “Cleartype” in start menu, select the screen you want to configure (the HDTV) and walk through the settings that work best for the screen. Use a good quality HDMI cable. Avoid converters such as HDMI-DVI etc if possible. Hopefully these should solve your problems. Point #2 did it for me. I didn’t know “Edit Name” could have such a big effect! Open ATI Catalyst Control Center. 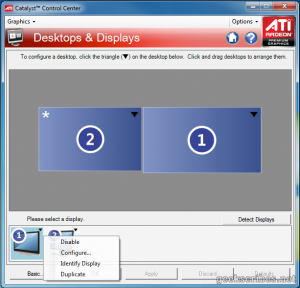 From the top, choose Graphics → Desktops and Displays. From the display, select Configure. Go to the Scaling Options tab and drag the slider to 0%. Your image should now take the full screen. A number of recent developents in the IT world have encouraged me to finally write this post. In Mauritius, the cost of Internet access for customers has fallen quite a bit in recent years. Connection speeds have doubled a couple of times in the past years, which is very good. The Windows Release Preview came three days ago. I decided to download the ISO and give it a quick run through to see if it’s really as horrible as people claim it is. The short answer: it is. My opinion? It will throw off any average computer user. Things are seriously different, and not in a good way. I’ll go through the issues I have as we go along. This will be a quick review since I didn’t have time to go through every little nook and corner of Windows 8. It’s also my first time trying it, so if I seem a bit clueless, think of it like how an inexperienced user views the OS. This review has lots of pictures so bear with me if you have a slow-ish Internet connection. I’ll go through the setup phase to actually having the Metro interface and the Desktop. Let’s see how that goes. 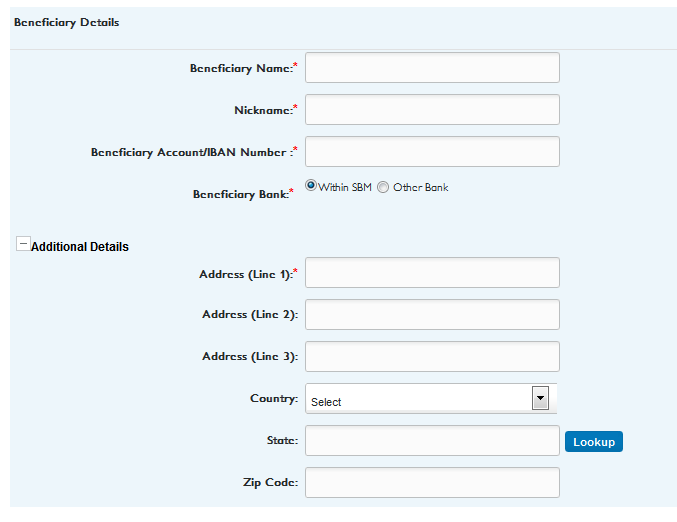 SBM, that’s not how you design forms. Seriously, we don’t all have a degree in banking to know what your “Payee Id” is, what’s the difference between a Payee name and a Beneficiary Name and why you need four fields of Payment Details, intuitively called “Payment Details 1” to “Payment Details 4”. The sparse help messages are not helpful. At all. Anyway, what’s Beneficiary Bank Address 2 and 3?! Come’on! It’s ridiculous! Fix your thing, before you can even claim to offer “online banking” on your adverts. It’s not useful. Oh btw? The said friend? 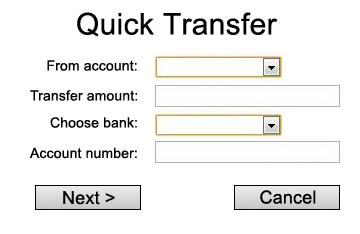 She’s decided to go in person to a bank branch to do the transfer. So much for your online services. Meaningful form names? 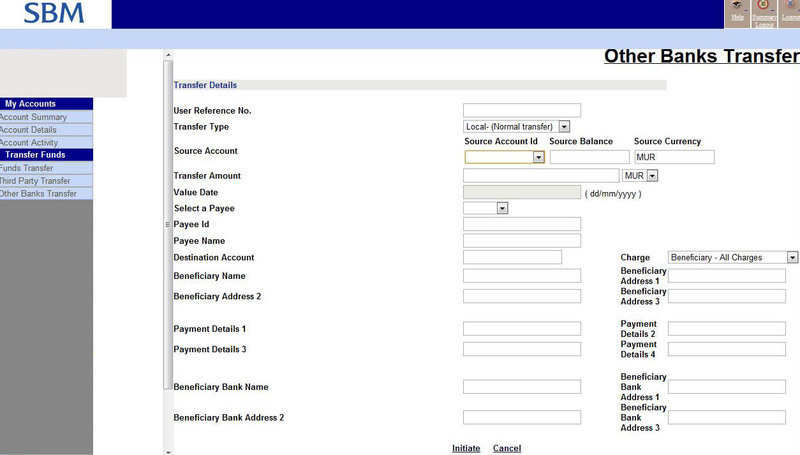 Payment Details 1 is not helpful. Contextual help when you hover on the forms? Auto complete? Data-specific fields? Why should the user enter date? Can’t they choose from a dropdown? Information overload! Use a couple of screens, with steps and a “next” button? EDIT: It’s 2016! They finally changed it! Welcome to Part 7: Loops! I hope you have enjoyed the previous parts and if you haven’t checked them yet, you should! Here’s a link to Part 1! In this part, we consider another fundamental building blocks of programs: Loops. What are they? Simply, a method for telling your computer to do the same thing a bunch of times. Nothing too hard huh? Let’s get on with it! Welcome again! In this series, we go on to the first of the essential building blocks of programming: conditions. This is the first part of the series that starts to deal with blocks of code, as opposed to just independent lines. So without delay, let’s start. In this long series, we’ll cover condition blocks using if-else and if-else if-else. We cover checks using AND, or and NOT (! symbol). We finally end with the switch statement. I doubt you’ll be able to grasp everything in one go as a beginner, so go slow, maybe a section at a time, try to understand how it works before moving on. Hello! Continuing with the Fundamentals of Programming series, we will now look at what Data Types are. If you have not read the earlier series, now would be a good time to start. You can click here go to Part 1. What are Data Types? Well, they are a way for you to tell the computer what kind of data you are referring to. In English, you have two basic kinds of data types: numbers and letters. To a computer, those would be “char” and “integer”. Char is short for “character” and integer means a whole number, without fractions or decimal points. Unlike humans, computers are not so intelligent (yet!) and need to be told exactly what kind of data they are dealing with. For us, numbers are “3” and “3.24”. For a computer, you’d need to specify “integer” for whole numbers, “float” or “double” for decimal numbers and even specify the sign! Talk about smart!